Catch it while you can on iPlayer. 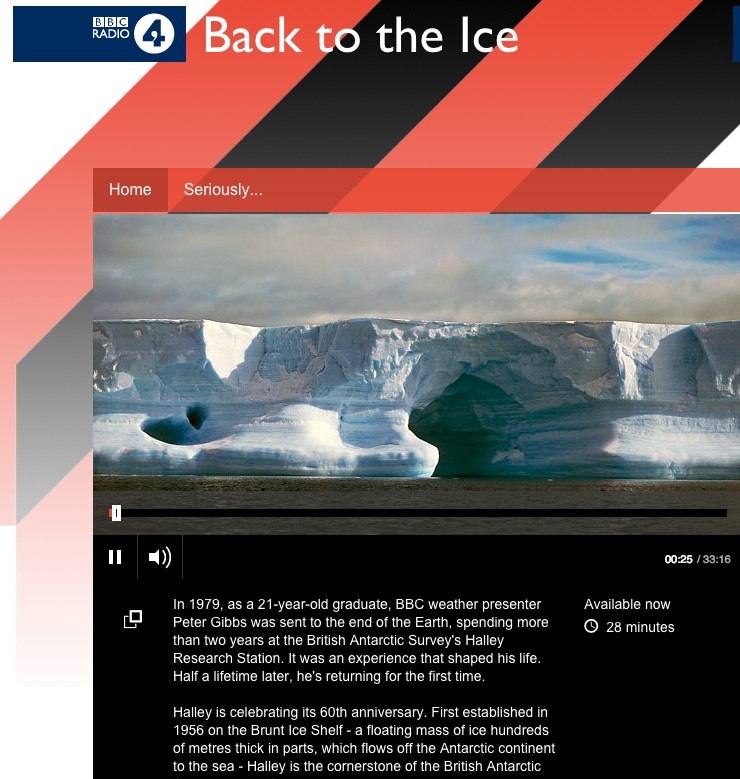 Peter Gibbs goes back to Halley base in Antarctica, accompanied by Matthew Teller. Here's a StoryMap that's been produced as well.